A Makeup & Beauty Blog – Lipglossiping » Blog Archive The Fragrance Shop Discovery Club - good value for money? 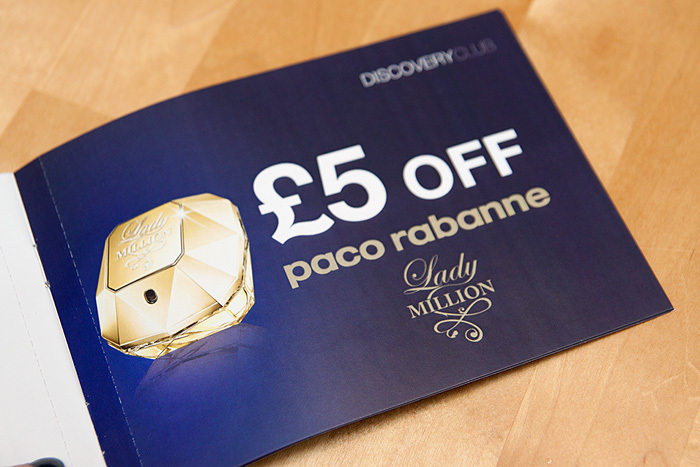 The Fragrance Shop Discovery Club – good value for money? I have a sticky relationship with beauty boxes – I don’t generally like them and I rarely feature them. I’ve been sent them at various times, but I don’t write about them on here because there always seems to be a heap of twitter politics and reports of bad customer service associated with the phenomena. I have made a couple of exceptions though… before I started blogging, I signed up for the inaugural Latest In Beauty box (which was £1 at the time – I have no idea how much it costs now), and I got a bunch of samples in return for a text message. It was novel, quirky, and introduced me to some great brands. When LiB released their CEW winners box, I felt that it represented great value for money, and similarly, when Selfridges compiled their one-off special, again, it seemed to offer something different to the rest. Having said that, with hindsight, they released a woefully small amount considering the demand. Major bug bear. So, why am I talking about this one? Well… because it offers something different and I, for the life of me, cannot decide if it’s the biggest waste of money I’ve ever seen. The Fragrance Shop. A high street chain with 135 stores nationwide… definitely not some startup jumping on the wagon, has announced their “Discovery Club”. 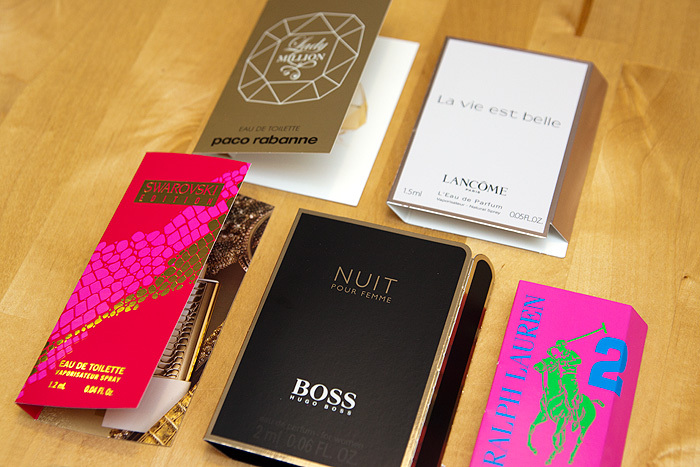 You pay £5 a quarter (fair enough, it’s not expensive), and in return, will receive a box containing five fragrance samples and a booklet of deals offering discount vouchers on the fragrances included in the box, should you like them enough to purchase the full-size. 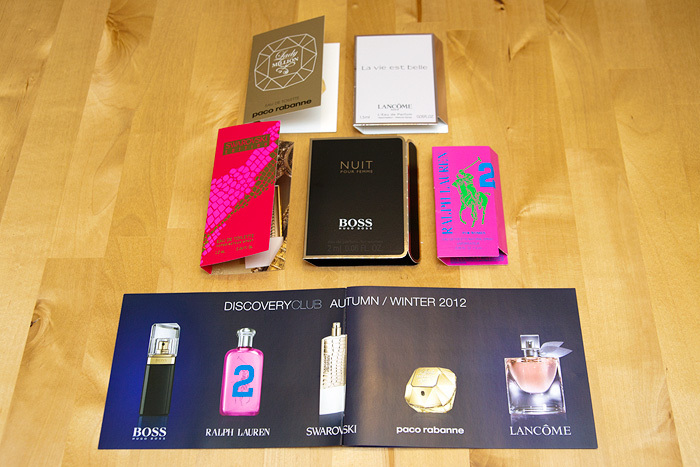 Of course, the vouchers are only valid for use at The Fragrance Shop. The problem I have with this venture is that fragrance samples are the last vestige of beauty sampling on the high street. Have you seen how hard it’s become to get a sample of anything on counter that hasn’t been released in the last month? Sample quotas are incredibly tight in the beauty world… which is absolutely crazy when you consider the UK’s non-existent refund policy and how completely necessary it is to trial a foundation outside of a beauty department’s skewy lighting. Fragrance, has always been so much easier when it comes to sampling. My goodness me, the last time I bought a couple of bottles of perfume, I came away with more actual volume in sample vials than I did in the bottle I bought… ok, slight exaggeration, but you know what I’m trying to say. Perhaps if The Fragrance Shop were offering niche samples (isn’t that what the whole Beauty Box thing is supposed to be about?) rather than the kind you can pick up in Boots if you smile sweetly enough, I’d be more on board with this idea. It would save me a fortune in postage from LuckyScent and I’d happily pay more per quarter for sure. I must admit, I’m not familiar with The Fragrance Shop’s sampling policy instore, but if there is/was one, I bet it’s not quite so relaxed now that their Discovery Club has come to fruition! I’d love to hear your thoughts on The Discovery Club – is it something you would treat yourself to once a quarter, or would you rather spritz instore and ask the counter for fragrance samples? 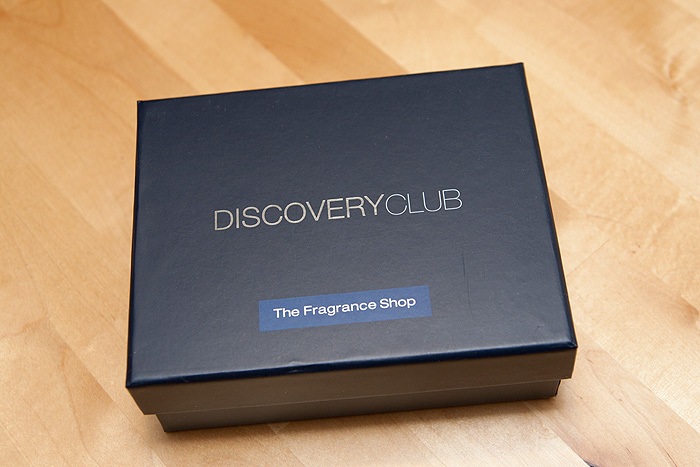 The Fragrance Shop Discovery Club is available to join now and costs £5 per box with no ongoing commitment, boxes are delivered every quarter. I like the idea of the Discovery Club. I think if it was just samples then I can see where your coming from but I like the sound of £5 off vouchers! I would only be interested in this if it were niche samples, as it is it’s too mainstream and I can test these fragrances in the dept store. The only Beauty Box I sub to is Amarya. It’s well worth the money and customer service is excellent which is what is lacking in so many other Beauty Box companies. Personally I think it’s a bit of a rip off. I’m sure you’re already aware, that if you email the perfume companies directly with a nice, polite letter, they will send you a sample free of charge and often with a money off voucher too. But I agree that beauty counters are really tight with their samples. On several occasions, I’ve complained to the head office and they’ve just said all samples are available on counter. Seems you need to have an hours consultation and skin review to get anything and I haven’t got time for that! I don’t think is very good value for money at all. I’ve received two of these samples for free after filling out a form online on the company websites. And the Boss one is also on the way. The little packets are identical. Maybe if they were exclusive it would be worth it. No, this isn’t for me. I don’t think the samples are ‘unusual’ enough. p.s. is it really hard to return make-up? I’ve a bottle of EL DBL Wear which my skin hates and both times I’ve used had to wash off before leaving the house. Was hoping to exchange it for DBL wear mascara, which I do love. In all honesty, it shouldn’t be that hard to get to try popular fragrances like these. There are bottles of this stuff in so many branches of Boots and House of Fraser, Superdrug and The Perfume Shop. Walk in, have a spritz, walk out. Pray it’s not so bad you want to chew your arm off before you have to get on the bus home. And it’s actually not that difficult to get samples of the niche stuff. Heck, for the really niche hard to find stuff, use the Les Scenteurs ( http://shop.lessenteurs.com ) sampling programme or check out a decant seller. If you want to know more about fragrances look at Fragrantica or Basenotes for information and forums of people who love perfume (and are often willing to swap some samples or sell you them for less than a fiver). I do think it’s kind of crappy actually that this company are essentially charging people a fiver for samples that they get for free (or very cheap) from the perfume manufacturers and then using that to generate sales and therefore profits for themselves.